Got a college degree? Then it's much more likely that you could land a job in the economic recovery. Of the 11.6 million jobs created after the Great Recession, 8.4 million went to those with at least a bachelor's degree, according to a new report from the Center on Education and the Workforce at Georgetown University. 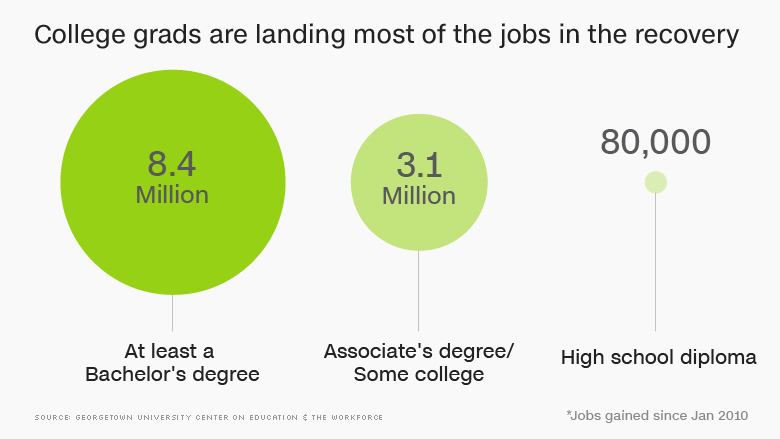 Another 3 million went to those with associate's degrees or some college education. Employers increasingly want workers with at least some college education, be it a degree or even a certificate in a trade, such as nursing assistant or welding, from a technical or community college. "College level skills determines access to decent jobs now," said Anthony Carnevale, the center's director and lead author of the report. 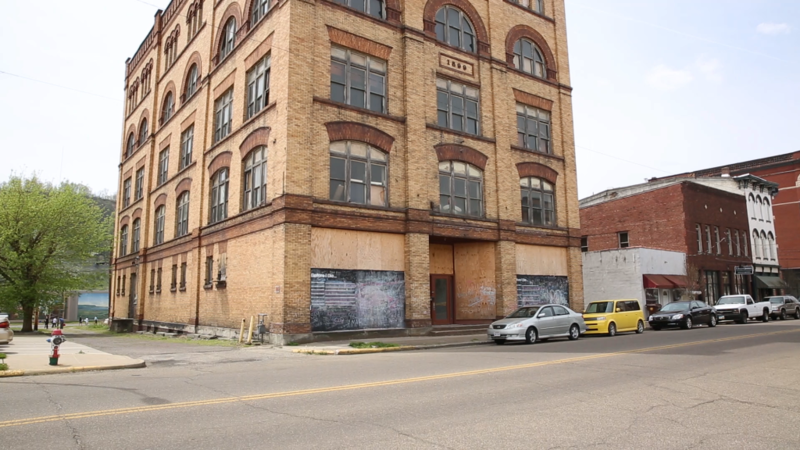 "The modern economy continues to leave Americans without a college education behind." Some 45% of Americans age 25 to 64 have an associate's degree or higher, while 23% have at least a bachelor's degree. Some 42% of young adults age 18 to 24 are enrolled in higher education. 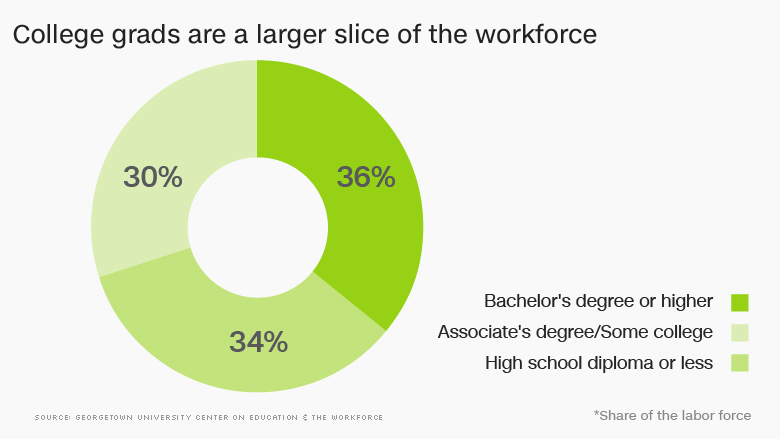 Americans with only high school diplomas represent a shrinking share of the workforce. This year, for the first time, college grads made up a larger slice of the labor market than those without higher education, by 36% to 34%, respectively. Until the early 80s, more than 70% of Americans entered the workforce right out of high school. College grads are also more likely to get "good jobs," which Georgetown defines as paying more than $53,000 a year. An earlier study found that 2.8 million of these jobs went to those with bachelor's degrees between 2010 and 2014, while 152,000 went to those with associate's degrees or some college courses. Those with only high school diplomas lost 39,000 of these positions. 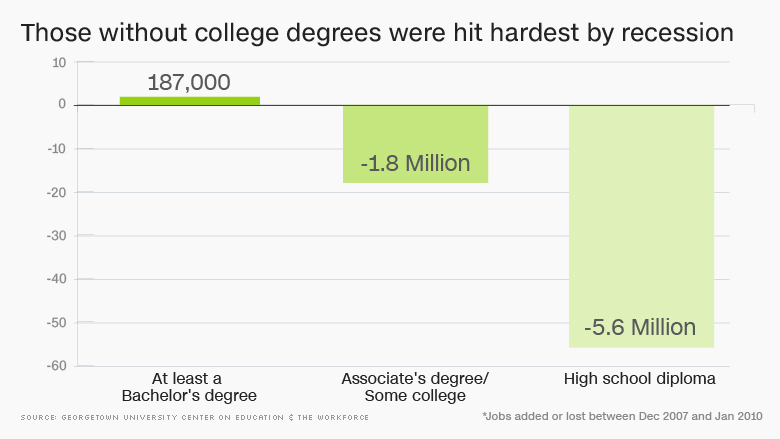 The Great Recession hit hard those who never went to college, and they have not recovered. Of the 7.2 million jobs lost between December 2007 and January 2010, 5.6 million were for workers with no more than high school diplomas. They've only recovered 1% of those losses over the past six years. Occupations commonly held by those with only high school degrees shed many positions during the recession and have not recovered. Manufacturing is still down 1 million positions, while construction is 1.7 million jobs lower than it was before the economic crisis. And employment in office and administrative support, often held by women without college educations, is also lower by 1.4 million.